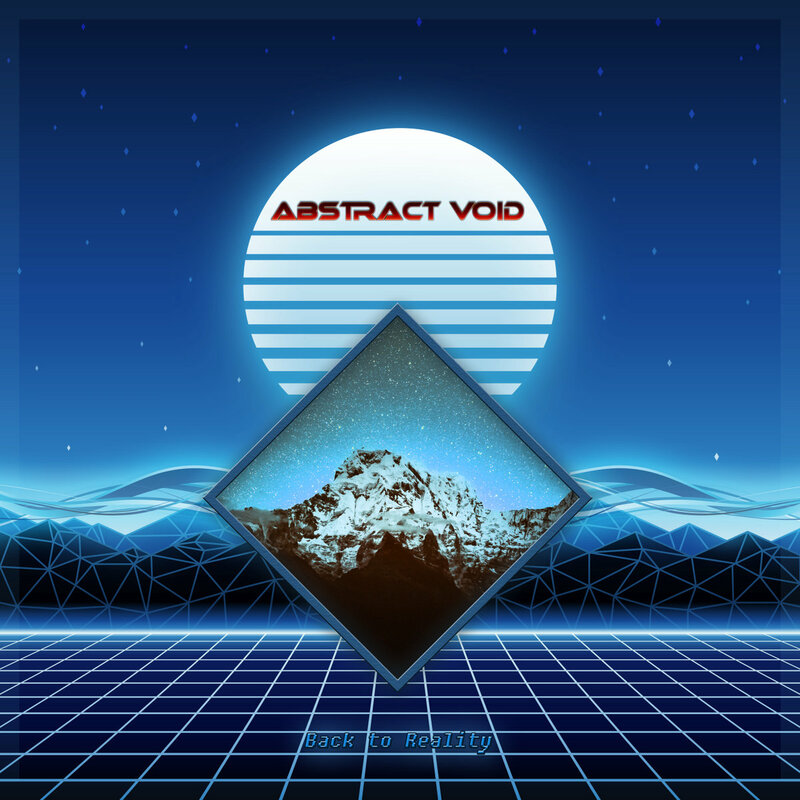 Abstract Void returns with a solid album that elevates the act a bit higher than their debut. The eclectic mix of blackgaze and synthwave continues to impress in their new outing, showing this mix of genres can hold its ground. When I went into Back To Reality, I hadn’t heard of Abstract Void. But I love synthwave, and I love blackgaze, so I just knew I had to listen to it to see what it was about. I had absolutely no idea how you could put those two very different genres together into a cohesive sound. Then I listened to it and it all clicked into place. Back To Reality starts off on such a strong note, it took me by complete surprise. The album begins with a beautiful synth melody on “Winds of Remembrance” that quickly goes into a scream to show you this isn’t gonna be a regular synthwave album. The melody continues for a moment before the vocals take center stage. The typical shrill and emotionally charged vocals you can expect from black metal play over top of a beautiful melody, and then things really take off. The drums pick up after a moment, with a double bass groove driving the song onward in a post-heavy instrumental section. This one song shows so well what Abstract Void brings to the table, I was almost excited for it to end just to see what the next song would sound like. “As I Watch The Sunset Fade” starts off with an upbeat kick and synth, giving way to an ambient guitar melody that ultimately melts into a synthwave barrage I could imagine would fit well in a club scene from an 80s film. The vocals quickly remind you, however, that this is something much bigger than either of the respective genres that are mainstays in Back To Reality. The creativity on display is palpable. I would have never imagined combining synthwave and blackgaze would work, let alone so well. Every song is a diverse mix of two genres I would say are on pretty opposite ends of the musical spectrum. And there is nary a moment where it doesn’t work. I can’t think of any moments in the album where it felt like the music meshed irregularly or was trying too hard to be too grand. “Back To Reality” is the song that really stands out to me as something special in the album. Title tracks tend to be incredibly strong, and Abstract Void did not miss that memo. It starts off with an immediate black metal beat, driving blasts over minor chord guitar. The vocals are just what you have come to expect from the genre, and it would almost be exclusively a solid black metal track if it weren’t for the synth melodies that play out in the background. An instrumental section early on lets the synth take the foreground for a moment, and when the vocals kick back in, that same melody holds its weight throughout the rest of the song. The way the synth harmonizes with the minor chords is nothing short of spectacular. The last song I would like to highlight from Back To Reality is “Joy Night”. This track feels a bit different than the rest. It is way more upbeat, and has a much happier vibe. It is very appropriately named, as it is a joyous song. Still carrying the blackgaze mantle strongly, the track is interspersed with screamed vocals and black metal riffage behind the poppy synth notes. It, like the rest of the album, just finds a unique way to work that I can’t help but fall for. Back To Reality is a really fun album to listen to, partially due to how unique it is. It is a sound that seems generally unexplored at this time, and Abstract Void is capitalizing on that quick with albums in both this year and last year. While it is quite unique, some of the album does seem to run together. I was pleased when “Joy Night” began as it was a change of pace from a sound that was teetering on the edge of too redundant. It will be interesting to see if this trend continues with future endeavors or if Abstract Void experiments further. Previous PostWire Love Sprint Out the Gate with Their High-Energy Debut "Leave The Bones"
Next PostDownfall Of Gaia Announce New Album, "Ethic Of Radical Finitude"